Reigen entertains a client that wishes for him to curse someone. Reigen refuses to do so. However, the client is insistent and become agitated. To defuse the situation, Reigen creates a makeshift curse on paper for the man to carry around free of charge. Reigen claims that ” As long as you have that with you, I’m sure something will happen someday.” The man weirdly claims that if Reigen is lying (he is) the man will “curse” Reigen. 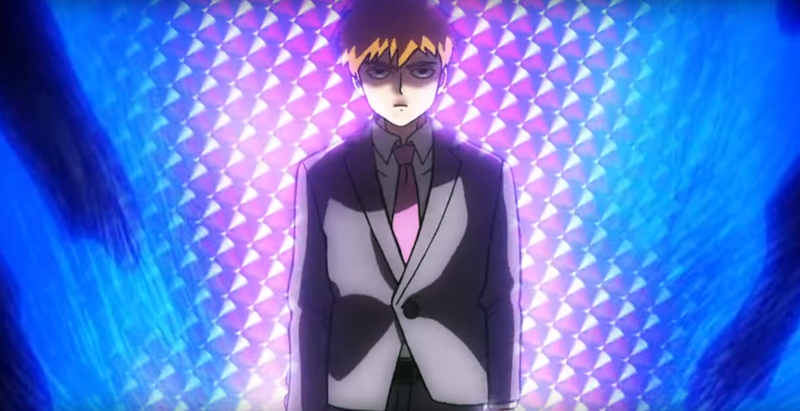 If he could curse someone by himself then why go to Reigen at all? Regardless, Mob wonders that there’s harm allowing the client believe that he’s cursing someone. The next client is a woman that believes that she being stalked. The “spirit” was gazing through her window. Reigen sends Dimple to look for it. He finds nothing and Mob only sense something faint. The room beings to shake and a ghostly aberration appears in the window. Reigen suggest Mob “vaporize it,” but Mob states that it’s a “real person.” The man is actually next door. The creepy man used a “outer body experience,” to spy on the woman. He’s arrested. Mob is confused as to why the woman would feel differently after finding out that the “spirit” was just a man. As Mob is walking home from school he’s harassed by two bullies. Mob is dumbfounded as they ask him for money. Dimple possess one of the boys, forcing him to strip naked. Mob tells Dimple to stop. The bullies continue to harass Mob, then Ritsu psychically chokes the bully with his tie. Finally, the members of Mob’s fitness club surround the bullies forcing them to flee. Mob is the strongest physic in this series. However, he’s always concerned about abusing his power and doesn’t think that they make him special. However, he has manage to collect a group of people that are willing to protect him. His friends think that he should use his powers next time. Mob and Reigen are brought to the wood’s to exorcise some ghost. The family hopes to remain there as they died in an accident and “lost their chance at a good life.” Mob’s clients don’t care that they are peaceful and simply want them gone. Dimple attempts to manipulate the father into killing the three client. The father refuses. This leads to the most profound part of the episode, Mob’s conflict. Reigen realizes that Mob can “see a far bigger world that” normal people. As previously mentioned, Mob is somewhat fearful of his own power, of losing control. If he did who would stop him? He could be like the bullies that harassed him if he wanted to. 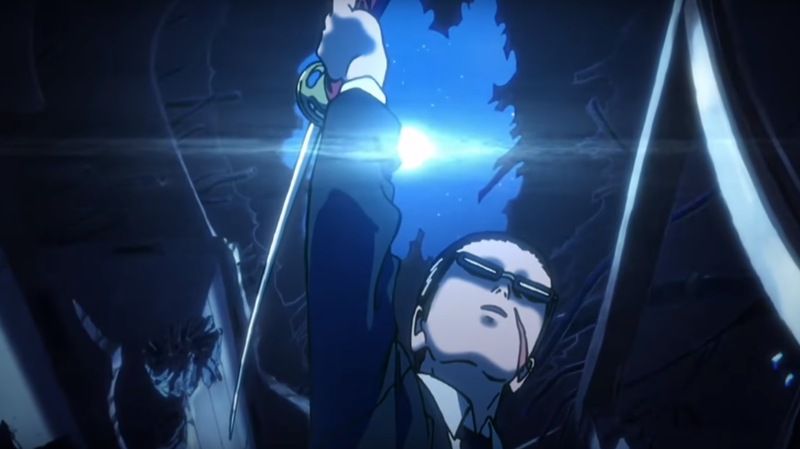 This season may focus on Mob’s fear.